Feeling stressed? Not sure what to do about it? It’s probably time you booked a facial. Learn how a facial can eliminate stress and leave you feeling completely refreshed. Your body is a tangle of nerves and wires. Everything is connected and it can be quite amazing to learn which parts of your body actually connect to other parts. The nerves in your face, particularly your temple, can help to relax the rest of your body. Even if you’re feeling tension in your shoulders, a deep facial massage can help to remove that tension. In a busy world, it’s hard to find time just for yourself. Between hurrying home to the office and heading to the gym, finding time to stop and be at peace with who you are can be hard. Booking a facial allows you the opportunity to forget about your worries. You can sit back, lie down, and just be at peace. Facials help to remove dead skin from your face and allow new skin to grow. They also stimulate your nerve endings and bring life back to your face. When you look in a mirror after a facial, you are seeing your best possible self. Seeing a happy, shiny face looking back at you will make you smile and smiling will help eliminate stress. Don’t underestimate the power of positive thinking. If you are particularly prone to acne, you will understand how this bothersome skin condition can take up quite a bit of your thoughts. 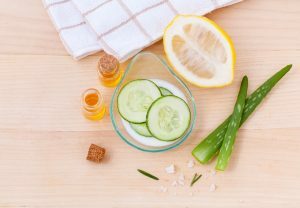 After trying cleansers and diet change, why not try a facial? Facials can help eliminate acne. They work to cleanse your pores and clear out all the gunk that has been building up. Clean pores mean there is less chance of breakouts. Regular facials are a great way to treat acne and other skin conditions. And one less thing to worry about means a lot less stress. We often forget about our own bodies. We take them for granted, or think of them as vehicles to get us from point A to point B. But even the best-built vehicle needs regular tune-ups. By scheduling regular facials, you are giving your body part of the complete care that it needs. Don’t let months pass you by before you schedule your next facial. Instead, eliminate the stress from your life by having a recurring appointment. This way you know that once a month you will be re-energized. You can have the tension wiped from your body. You can have your skin looking healthy and glowing. And most of all, you have a time and space that is just for you.